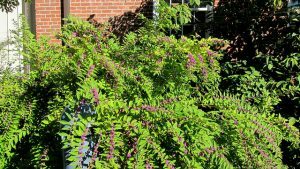 “No, I don’t think you killed your beautyberry,” I replied to a visitor to the Extension Master GardenerSM office concerned that their pruning efforts had irreparably damaged a favorite shrub. 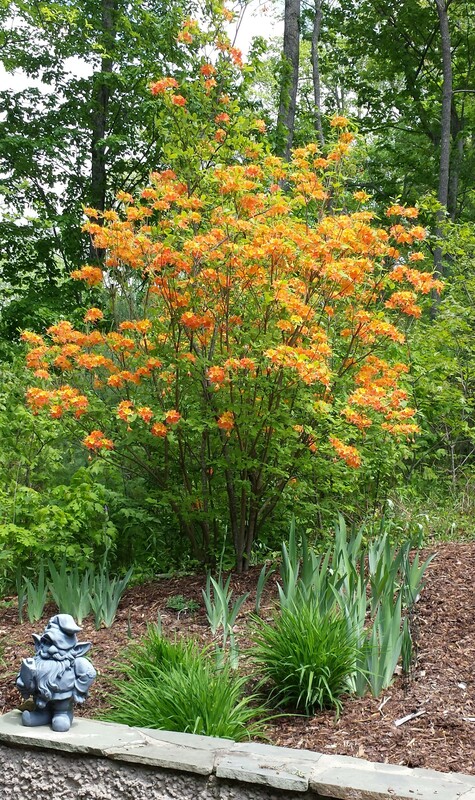 One of a Master Gardener volunteer’s most interesting challenges is reassuring people that nature is very resilient! This is particularly true when it comes to pruning, which many home gardeners look upon with a sense of dread. I reassure them that the worst that can happen is severely diminished flower production for next season—but there are no overall adverse effects on long-term plant health! 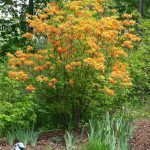 As with most things involving gardening, there is an exception to this fact, which is to avoid pruning shrubs from mid-August until leaf fall. 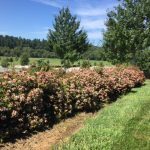 Late season pruning may encourage a flush of tender new growth that the onset of winter weather may kill back because it hasn’t had enough time to harden off. 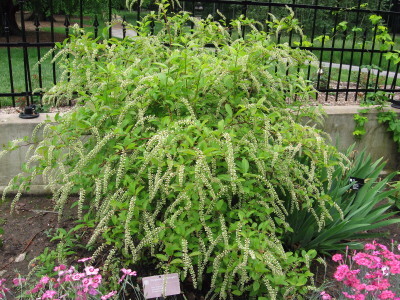 Glossy Abelia (Abelia grandiflora), summersweet (Clethra alnifolia), crape myrtle (Lagerstroemia indica), rose of Sharon (Hibiscus syriacus), old-fashioned Weigela (Weigela florida), American beautyberry (Callicarpa americana), New Jersey tea (Ceanothus americanus), and Virginia sweetspire (Itea virginica) bloom on new wood. 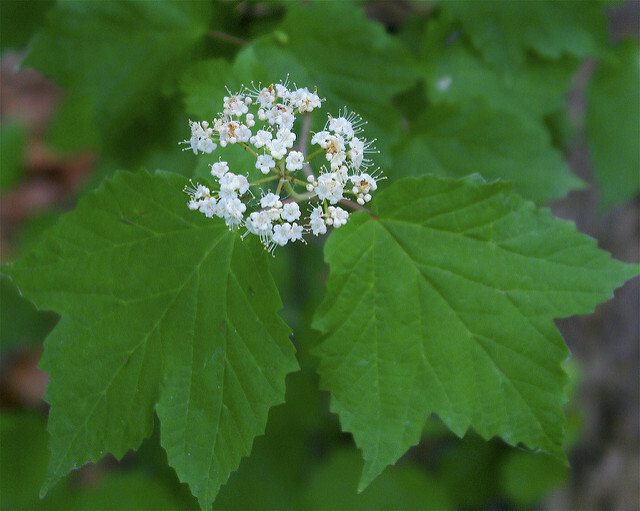 Botanically, these shrubs bloom on buds that develop on the growth that occurs in the spring of the current year. 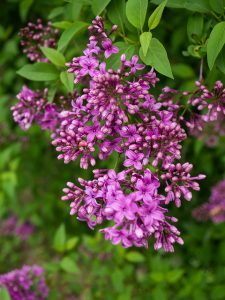 These species should be pruned in late winter or early spring (late March to early May) to promote vigorous growth early in the summer. 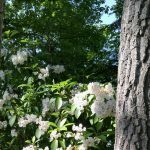 NOTE: We’ll discuss pruning hydrangeas in a future blog post. So, stay tuned! 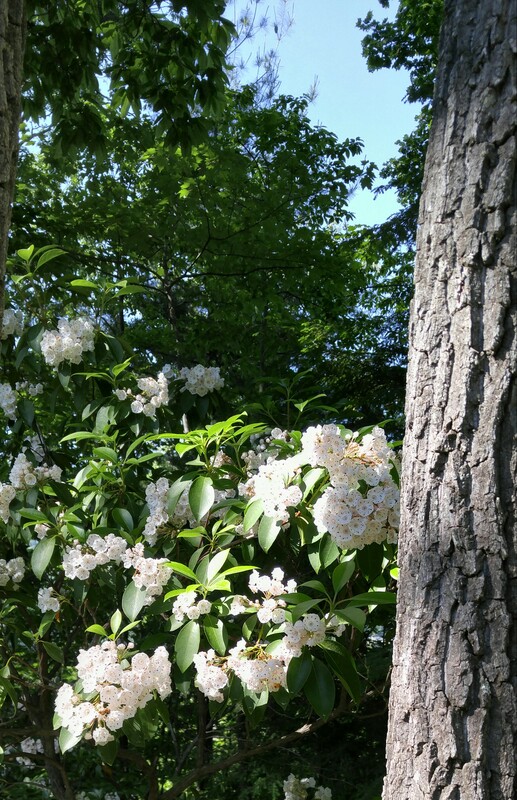 Does this mean you should put away your pruners now if you have summer-blooming shrubs? No, you can always remove damaged, dead, diseased, or double-crossed limbs (the “Four Ds”). 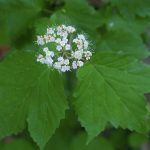 You can also remove spent flower heads, but this is done for cosmetic purposes—remove only the flower head, not any other part of the plant! 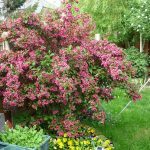 When the time is right for pruning your summer-flowering shrubs, there are different approaches. 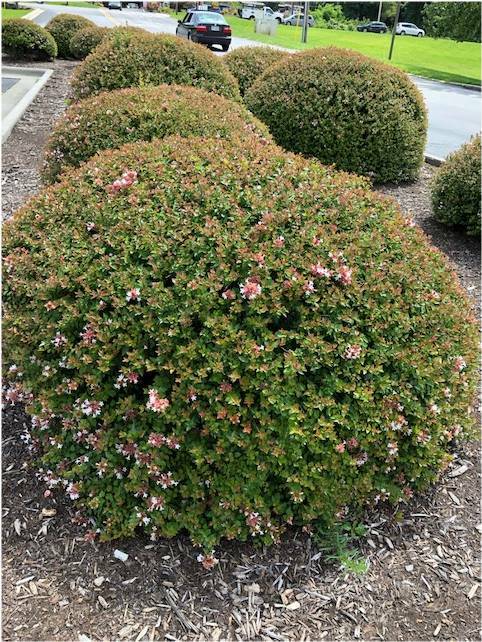 Rejuvenation is a drastic technique that works well on multi-stemmed, twiggy shrubs, and is typically done only every 3 to 5 years. 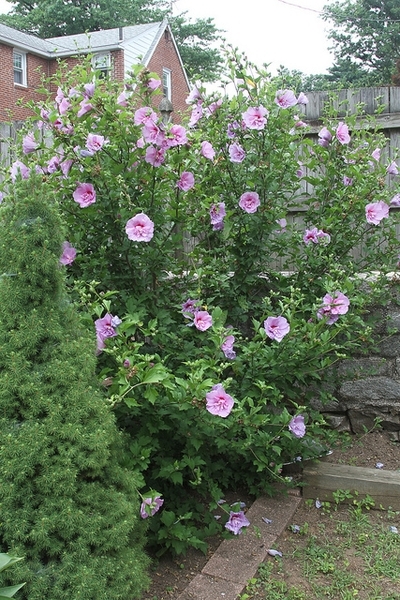 It involves pruning all the stems back to about six inches above the ground. 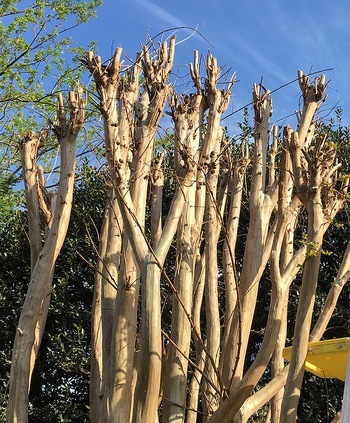 Selective pruning involves removing specific branches and limbs to improve the overall appearance of the shrub, shape the plant for landscape use, and reduce the overall height of the plant. 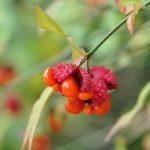 Do not remove more than one-third of a plant’s growth in any one year except when you do rejuvenation pruning on a set schedule. Don’t shear! 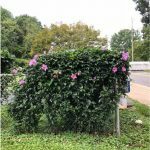 Reserve shearing with electric or manual hedge trimmers for broadleaf evergreens—it is not appropriate for deciduous shrubs! 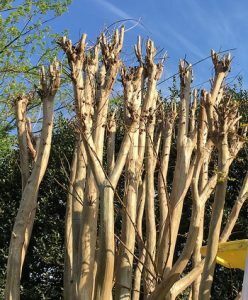 Avoid “crape murder.” The drastic pruning of crape myrtles, commonly called “crape murder,” involves the wholesale reduction of the shrub’s height. This is equivalent to tree topping, which should not be undertaken under any circumstances! The result of such pruning is weakened structure and a reduction in vigor. I answered the Garden Helpline in the Extension Master Gardener office recently and spoke to a very upset individual: “Why on earth, after all my hard work and attention, did my beautiful lilacs (Syringa vulgaris) not bloom this year?” I asked about growing conditions—full sun is needed for bloom—and watering and fertilizing, receiving all the correct answers. 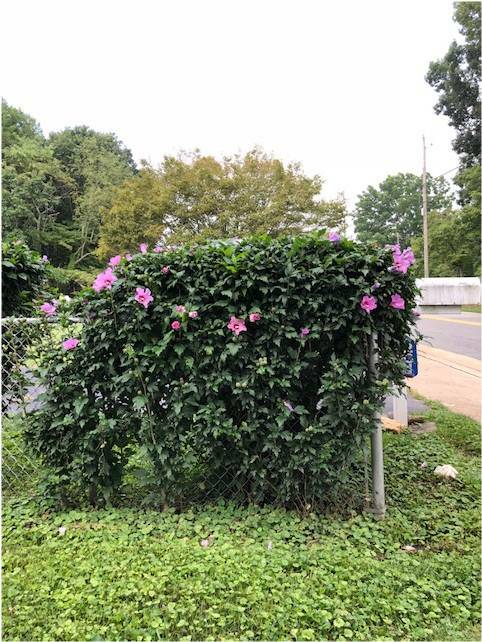 Then we talked about pruning: “It looked very scraggly and overgrown and I wanted to make it look nice for the spring, so I pruned it in February.” There was the answer to the question! 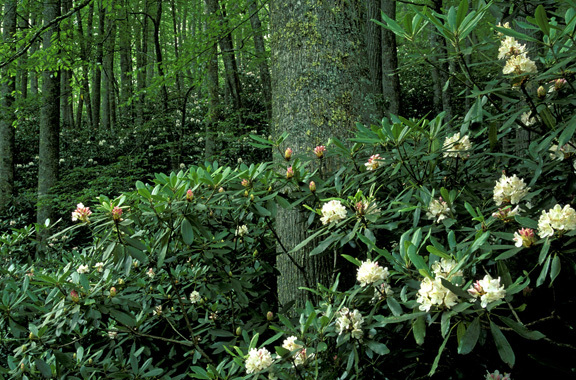 Plants, such as flowering quince (Chaenomeles speciosa), forsythia (Forsythia x intermedia), oakleaf hydrangea (Hydrangea quercifolia), bigleaf hydrangea (Hydrangea macrophylla), mountain laurel (Kalmia latifolia), azaleas and rhododendrons (Rhododendron spp.,), doublefile viburnum (Viburnum plicatum var. 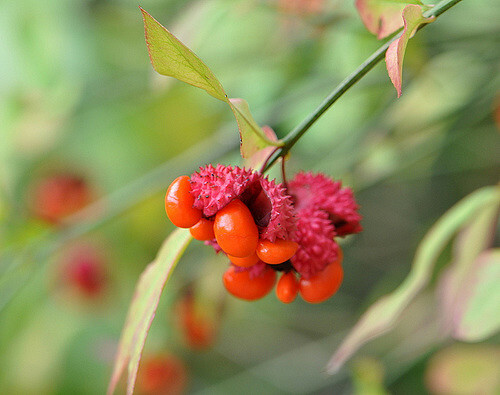 tomentosum), as well as lilac, are in this category. 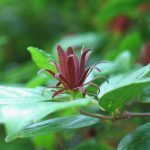 While June 15 is often mentioned as a cut-off date for flowering time for “spring-blooming shrubs,” we gardeners know that Mother Nature does not always adhere to clear-cut time frames. 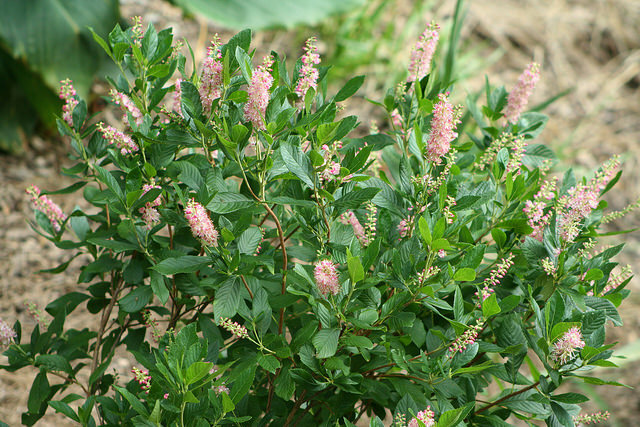 What’s important is to correctly identify the plants and prune these shrubs soon after flowering. 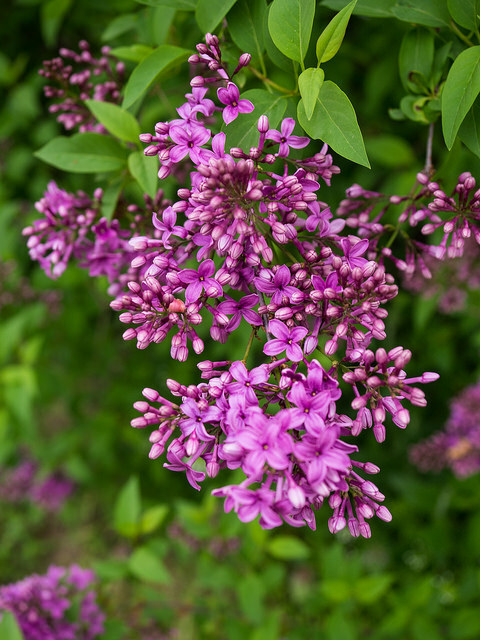 Pruning these shrubs in late summer, fall, or early spring will remove the flower buds—so pruning your lilac in February will remove the flower buds set last year! Pruning soon after flowering means pruning no more than six weeks after this years’ blooms die. 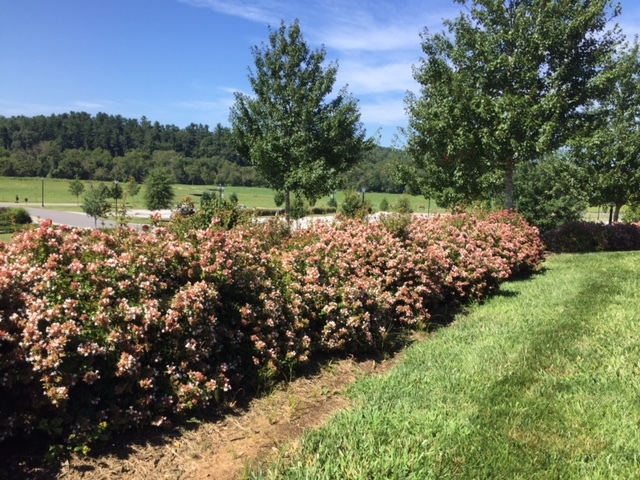 So even if your work or vacation time prevents you from getting to the task immediately, you still have time to prune and not adversely affect next years’ blooms. 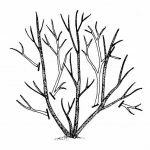 The object of pruning is to open up the top of the plant to permit light and air to reach the interior. 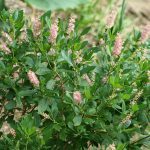 It can promote new plant growth, maintain plant size, encourage flowering, remove diseased or dead limbs, and help control insect and disease problems. 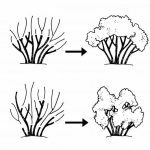 When thinking about pruning, consider the “one-third” rules: remove about one-third of the oldest wood at the ground level and cut back one-third of the younger, newer canes about one-third of their height per season. 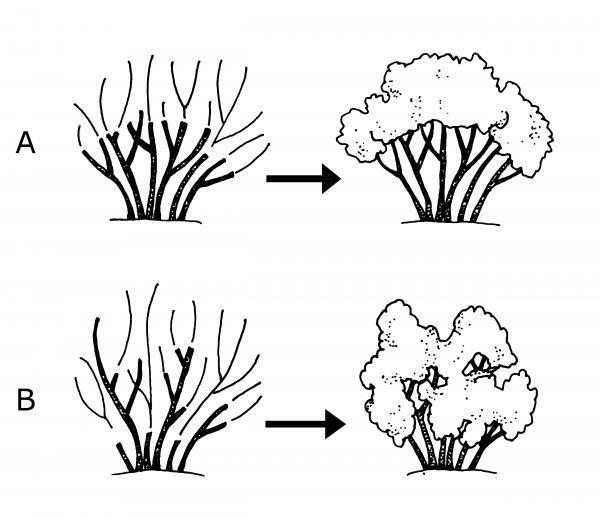 The two basic types of pruning cuts are heading cuts and thinning cuts. Heading cuts remove part of the branch back to a bud. 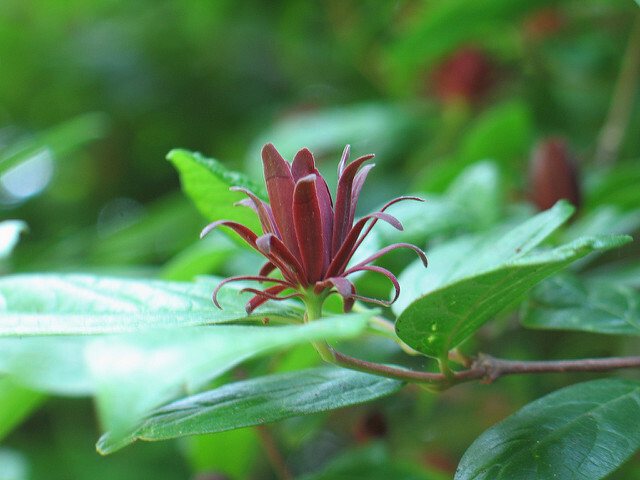 The direction in which the top remaining bud is pointed will determine the direction of the new growth. 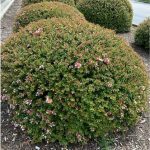 Selective heading cuts reduce the shrub’s height and retain its natural form. 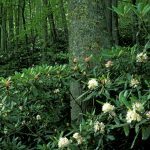 Thinning cuts remove an entire limb to where it originates—in the case of shrubs, this could be at ground level. 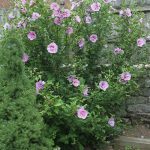 Thinning cuts remove the thickest, oldest stems with the fewest flowers. This opens up the canopy and increases light penetration and air circulation. 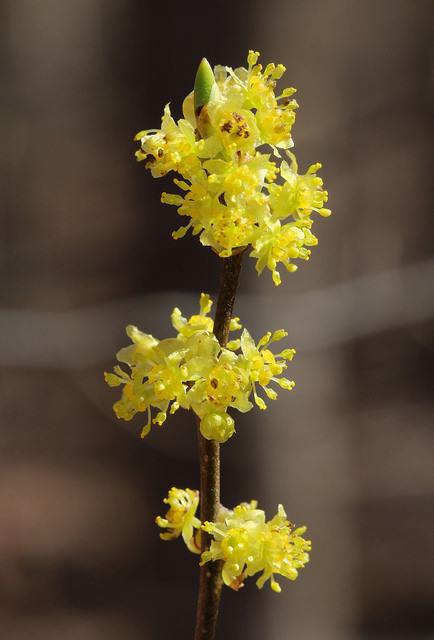 To rejuvenate overgrown specimens with a suckering growth habit, such as forsythia and lilac, periodically removing the biggest, oldest stems at ground level allows new stems to replace the older ones. Heading cuts: A) shrub shoots headed back to same height; B) shrub shoots headed back to different heights. 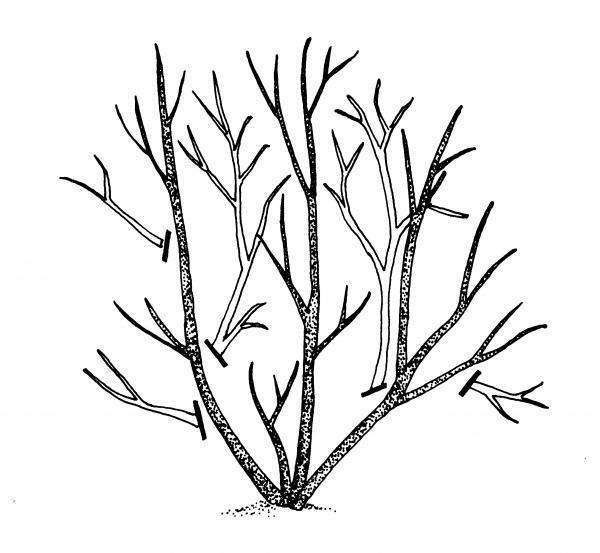 Thinning cuts: Shrub branches removed at their point of origin. 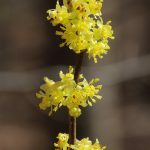 If you have overgrown or unsightly spring-flowering shrubs, you may need to sacrifice one year’s bloom to get your garden looking good again. Renewal pruning is called for if you need to start over! 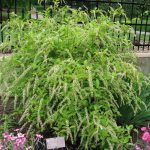 In this case, prune the entire shrub back to 6 to 12 inches before your shrubs leaf out in the spring—either in late fall or early winter. 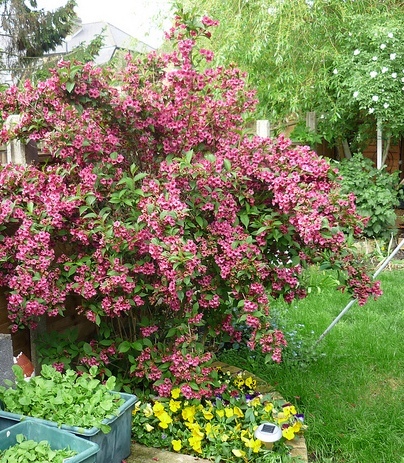 Prune new growth lightly during the summer to get your shrub into shape for the future!